This article is all about the French press. How can you make the perfect cup of coffee using a French press? What kinds of French presses are there? Which one should I buy? This article has the answers. 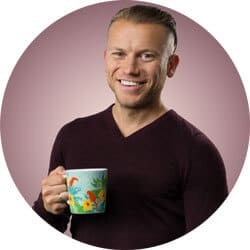 Personally, I prefer the name “French press.” If you just call it a coffee maker, it’s confusing because there are other ways to make coffee, such as an AeroPress or a pour-over filter. Each of these methods has its own advantages and idiosyncrasies. There are many ways to make a good cup of coffee, but there are also many ways to mess it up, so you need to be sure to avoid those pitfalls. The French press is one of my favorite ways to make coffee. How Do I Clean a French Press? 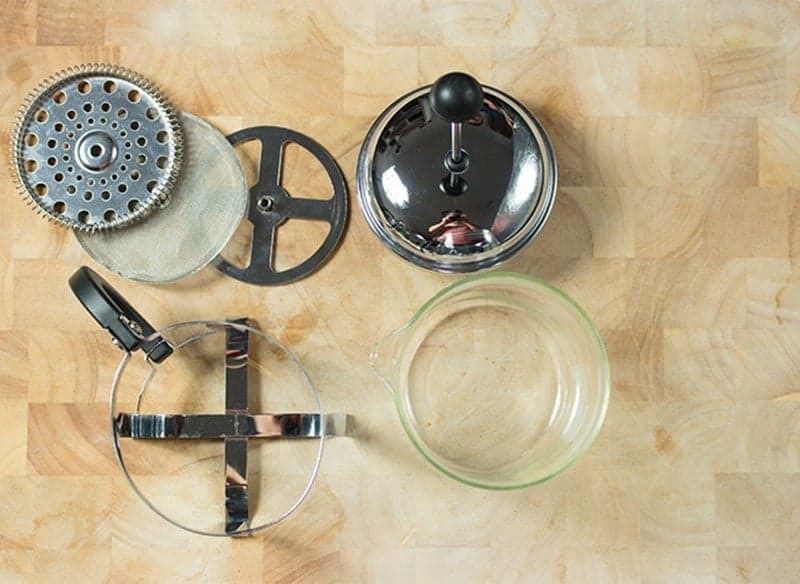 In the picture above, you can see what a Bodum-brand French press looks like when taken apart. This particular one makes about 17 ounces (0.5 liters) of coffee. I’ve been using this trusty press for more than seven years now, and it has never broken. The only noticeable wear and tear is on the frame, which is bent a bit – but that gives it character! This Bodum press is actually relatively sturdy. The only issue is that the glass is pretty thin and can break. If that happens, you can order a replacement carafe online. All of the parts can go into the dishwasher. When you clean your French press, it is especially important to take it apart completely. Otherwise, coffee residue will get stuck in between the different parts of the screen, and it will get nasty. After washing the parts in the dishwasher, be sure to dry everything thoroughly before putting it all back together. Look to the right to see a list of this French press’ parts. The three parts of the metal screen are on the top left. They are laid out in the same order you need to put them back together before screwing them onto the plunger: the coarse screen is on the left, the fine filter is in the middle, and the frame is on the right. Moving clockwise, then there’s the lid. I like metal much better than plastic. No matter how big or small your French press is, it’s always important to use coarsely-ground coffee. It is a very common mistake to use coffee that is too finely ground, which will give you bad results. 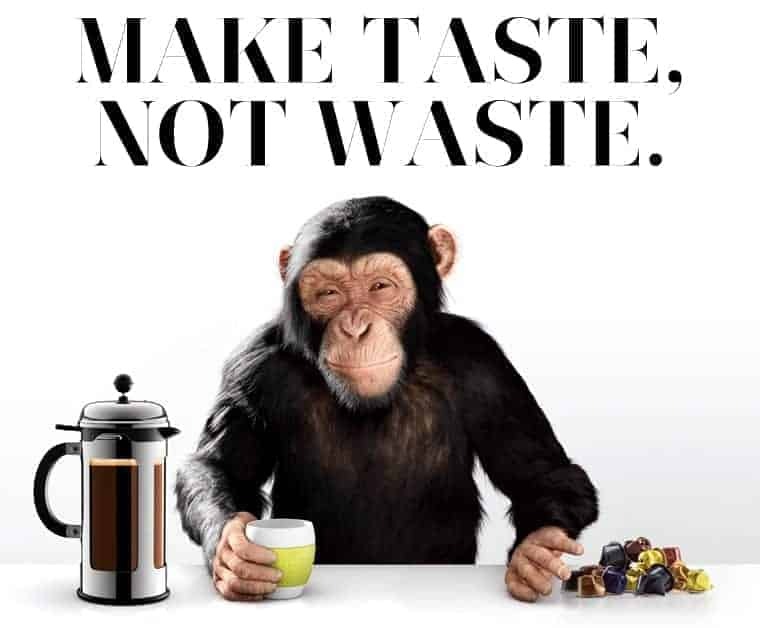 If your coffee is too fine, your French press will over-extract it, making the coffee bitter and acidic – and nobody wants that! 1. Freshly grind about 4 tablespoons of coffee beans for a 1-liter (34-ounce) French press. The chart above will also tell you how many tablespoons of coffee to use for the other three most common sizes of French presses. Remember: The coffee should always be freshly roasted and freshly ground. 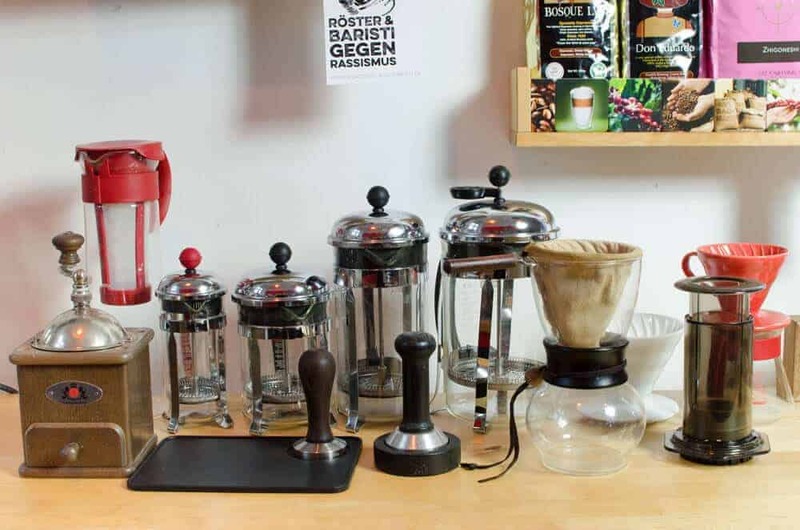 Later in this article we will look at which coffee beans work best with a French press. 2. Pour hot (but not boiling) water onto the coffee. 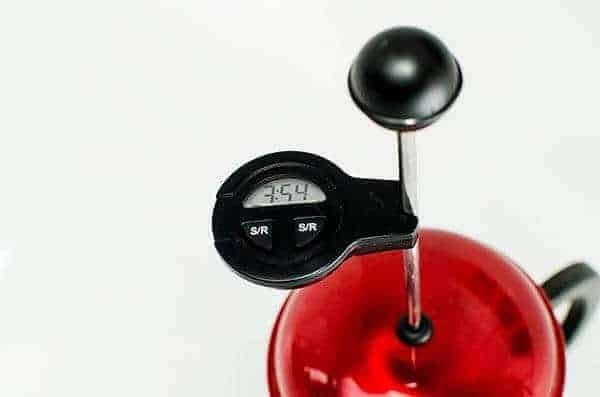 It should be around 200 degrees Fahrenheit (95 degrees Celsius). Coffee is almost 100 percent water, which means that the quality of your water is very important. The water here in Berlin is very hard, so I always run it through a Brita water filter first. There are two advantages to doing that. It leaves less calcium residue in the carafe, and the coffee also just tastes better. 3. Give it a stir. I would only fill the French press halfway before stirring, and then pour in the rest of the water. I wouldn’t use a metal spoon. 4. Let it sit for four minutes. Coffee made in a French press tastes and smells great because it is in direct contact with water for a longer period of time. You can also experiment with more or less time. Anything between two and six minutes should work. 5. As quickly as you can, get the coffee out of the press and into your belly! You shouldn’t leave the coffee in the press after it is done brewing because, even though the grounds are at the bottom of the carafe, they will continue to extract and release aromas. The coffee will quickly become bitter. That’s why any French press that is inside its own thermal carafe is pointless. Instead, just get yourself a separate insulated carafe. Always be sure to attach the screen tightly. Otherwise, it could come loose when you press it down. Most people fill the carafe almost to the very top with hot water (which makes sense, because otherwise you wouldn’t get as much coffee). Just be careful with that hot coffee. Most lids have two openings. You should close the opening if you will be carrying the press, then open it fully before pouring. You need to get a decent coffee grinder. I use my Baratza Encore with my coffee press. It’s a really great grinder for everything except for espresso. 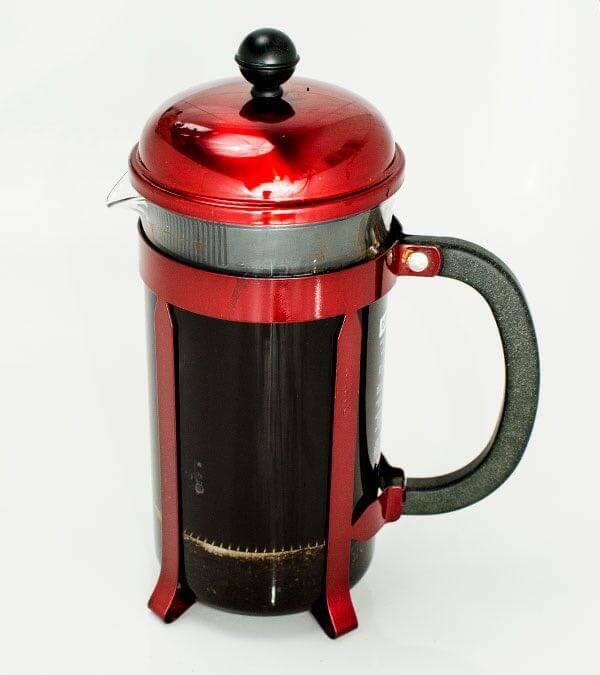 Some coffee lovers recommend preheating your French press. If you ask me, I say it can’t hurt, but based on my experience, heating it didn’t make any significant difference. Plus, I always use my electric kettle to heat up the exact amount of water I will use. You should preheat your coffee cups if you really feel like heating up something. One exception might be the press made of stoneware from Le Creuset. Mistake 1: Using only “half” of your French press. You might think that you could make a “half batch” of coffee by halving the amount of water and ground coffee. That might seem logical, but it’s a bad idea! It’s one of the most common and most annoying mistakes. This is because every French press is designed to work with its full volume. 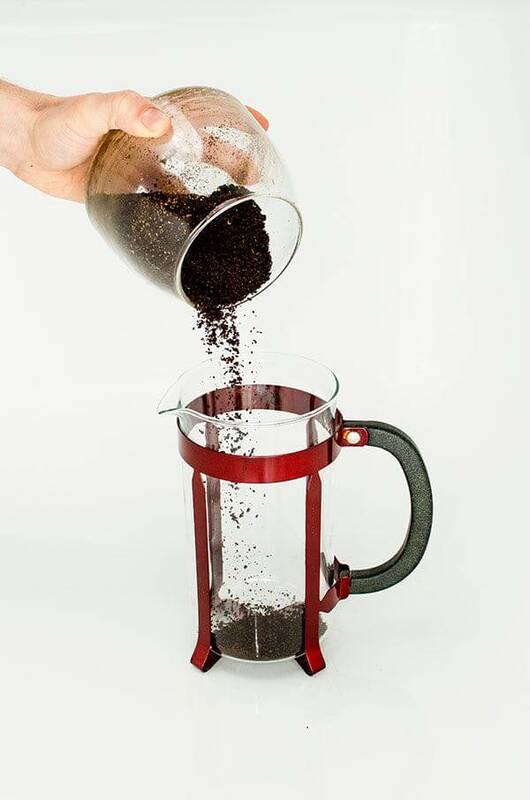 They are designed to have a specific amount of space between the pressed-down screen and the bottom of the carafe. When you use the press correctly, that space will be full or more than full with coffee. If you only fill it halfway or a third of the way, there will be more liquid in that space for the ground coffee. The water will help release the finer coffee particles, which will make their way into your cup. 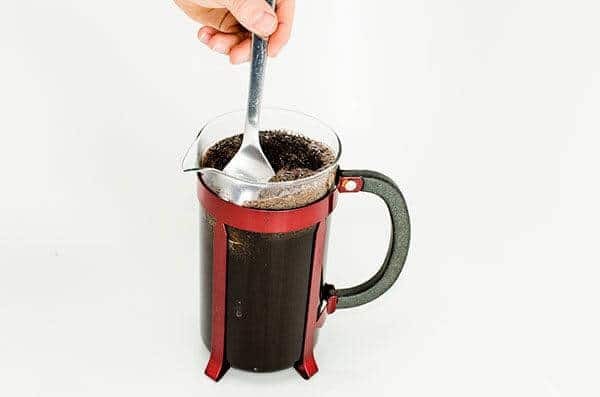 It will also change the taste by continuing the extraction, ultimately giving you bitter coffee. Mistake 2: Making too much coffee at a time. There are different sizes of French presses for a reason. You should only make as much coffee as you plan to drink (or pour into a separate insulated carafe, if necessary) right away. The coffee shouldn’t stay inside the French press after you press it because the coffee can still keep extracting even when the screen is pressed down. So drink up, and if you find that you need more coffee, just go ahead and make a second round! Mistake 3: Using finely-ground coffee, because it leads to over-extraction and bitter coffee. The coffee mixture can also become really thick, making it very difficult to press down the screen. Mistake 4: Not giving the coffee enough time to extract. It is very important for the ground coffee to have enough contact time with the water. The coarser the coffee is ground, the longer it will need to extract. That’s why drip coffee extracts more quickly. 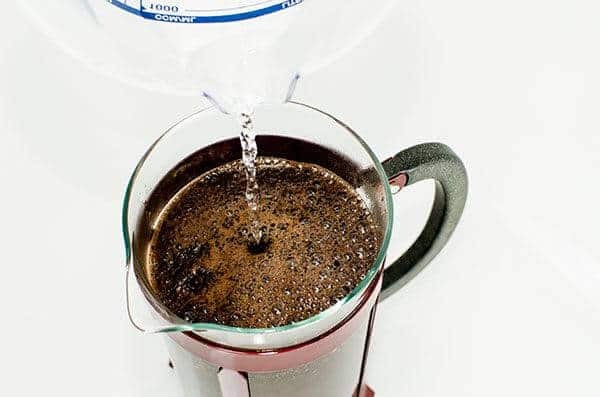 Mistake 5: Not being “balanced.” As always, it all comes down to using the right water temperature and the correct proportions of coffee and water. This is where many people mess up. Direct, even contact between the coffee and water. It’s easy to customize the taste of your coffee by adjusting grind coarseness, the amount of coffee, brewing time, and whether or not you skim the grounds. A French press doesn’t actually filter your coffee. The metal strainer is so coarse that it only pushes down the ground coffee, while still leaving the ethereal oils. It even makes a light crema on the surface. Coffee presses are easy to clean. French presses come in many sizes. From tiny to huge, I’ve tried them all. Based on my own experience (and my mother’s experience), the bigger the French press, the better the coffee tastes. A French press just looks good, and it fits in any kitchen. The glass carafe can break (especially in the dishwasher). Replacement carafes cost almost as much as a whole new French press. French presses aren’t filters, so they leave more coffee particles in your coffee. Some people don’t like that. Should You Skim the Coffee in Your French Press? If you think that coffee from a French press is too strong, it might be worth trying to skim the grounds from the top. Doing that will give you thinner coffee, but can also make some floral aromas come out at the same time. Fun Fact: I took this picture years ago in my bathtub. I needed a white background! Skimming only changes the scent of the coffee slightly. It’s less intense, which is actually good for coffees with floral aromas. Skimming also changes the acids in the coffee. If a coffee is very acidic, skimming can be a good idea because it prevents it from becoming too acidic. Skimming gives the coffee less body in exchange for smoother mouth feel, as well as fewer particles in the coffee. The aftertaste will also likely subside more quickly, while being less smoky and less intense. Can I Use a French Press to Make Tea? I get asked this question a lot. The answer is simple: Technically, it would be no problem at all. The screen can press down tea just as easily as it can press down coffee. However, coffee and tea are two very aroma-intense natural products that can leave smells and residue behind. Therefore, I would not recommend using a coffee press for tea unless you plan on not using it again for coffee. I think that every home should have a teapot and a French press, but each one should be reserved for its respective drink. Cold Brewed Coffee is very hip these days. The nice thing about cold brew is that you can make it in lots of different containers, and you might not need to buy a special device to make it. You can make cold brewed coffee with a French press. The screen can even “filter” the coffee when it is done infusing. 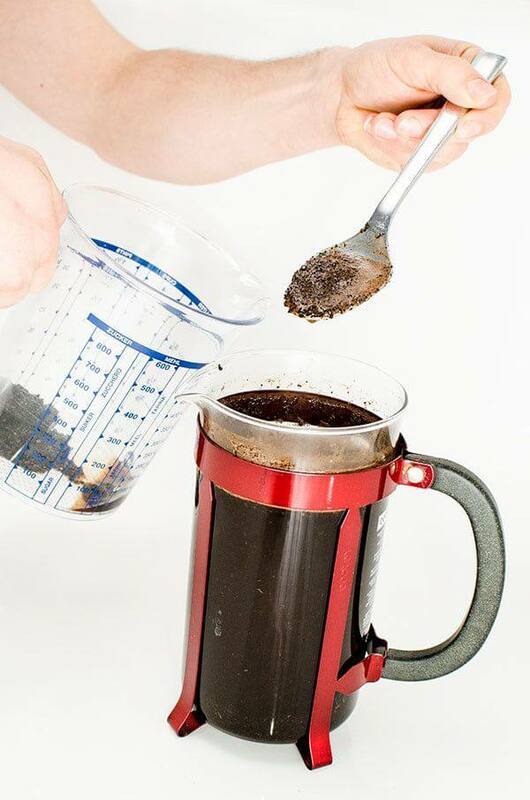 If you don’t use the screen, you will need to pour the solution through a sieve or a pour-over filter. Here’s a guide to make cold brewed coffee concentrate. You can dilute it with ice cubes or cold water until you get the desired strength. You can also find a complete guide to cold brewed coffee here: Cold Brew. Grind the coffee coarsely, as usual, but use more coffee beans. Try using between 5 and 7 tablespoons (80 to 100 grams). Put the grounds into the French press. Pour cold, filtered water onto the coffee. Leave the coffee to infuse for 12 hours. While it infuses, you can leave the press in the fridge or simply out on the kitchen counter. Personally, I always leave it in the fridge. Press down the screen. Pour the coffee into a different container. You can store your cold coffee for up to a week in your fridge. There are some double-walled coffee presses out there. I think they are essentially useless. In this article I’ve already explained a few times why you need to get the coffee out of the press as soon as it is done infusing. If you don’t, it will release more aromas and become bitter. This over-extraction is quite unpleasant and will give you bad-tasting, unpalatable coffee. Therefore, the idea of an insulated French press carafe is pretty absurd. It’s much better to just make a second round of coffee or to use a separate thermally insulated carafe. Please don’t buy an insulated carafe with a “built-in” French press! It is very important, of course, to freshly grind your coffee beans every time you use a French press. You need to use a coarse setting. I recently started using a new grinder for my French press coffee: the Baratza Encore. It’s not always easy to find a grinder that can do a good, coarse grind. Most expensive grinders are specialized for espresso, and when it comes to coarse grinds, they usually crush the beans, giving you uneven results. 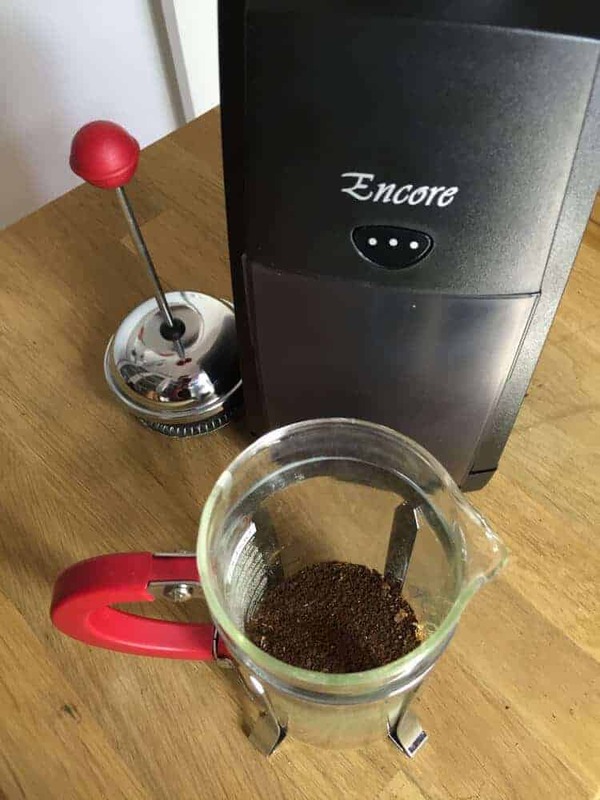 The Encore is my go-to coffee grinder at home for any and all coffee that I need ground more coarsely than espresso. The only disadvantage to it is that it is quite loud. Which Coffee Is Good for a French Press? This is aimed especially at those of you who are still drinking Folgers or other similar rubbish you bought from the grocery store. Generally, you should never buy your coffee from a supermarket. The coffee is often very poor quality and always too old. Coffee should be freshly roasted. It is hard to give a recommendation for a kind of coffee because after a certain point, it depends a lot on your personal tastes. My experience has shown me that if a coffee comes from a smaller roaster and is described as very fruity, it can become a bit sour when used in a French press. If that happens, I suggest that you grind it even more coarsely, and reduce the infusion time by a bit. You can also use espresso roasts in your French press – that works very well with some brands. Of course, the result will still be coffee, not espresso. I began writing this article back in 2009 and have continually added to it. Over the years, I have had more experiences with coffee presses. As I write this, it’s 2019, and I can finally report on my tests of French presses made by different manufacturers, from different materials, and in different sizes. Additionally, it’s quite likely I will add more presses soon. I still haven’t had a chance to try out the Alessi coffee press or the one from Kitchenaid – I just haven’t been able to. Additionally, I don’t really like the press from IKEA – it’s poor quality and has tiny screws that can get lost. Bodum is the classic. It comes in the four main sizes mentioned earlier (0.35-liter, 0.5-liter, 1-liter and 1.5-liter), and I have them all! My 1.5-liter fell to the floor from about nine feet in the air, but the glass carafe somehow managed to survive. However, you can see that the frame got a bit bent. Read the complete review of my favorite French press from Bodum here. 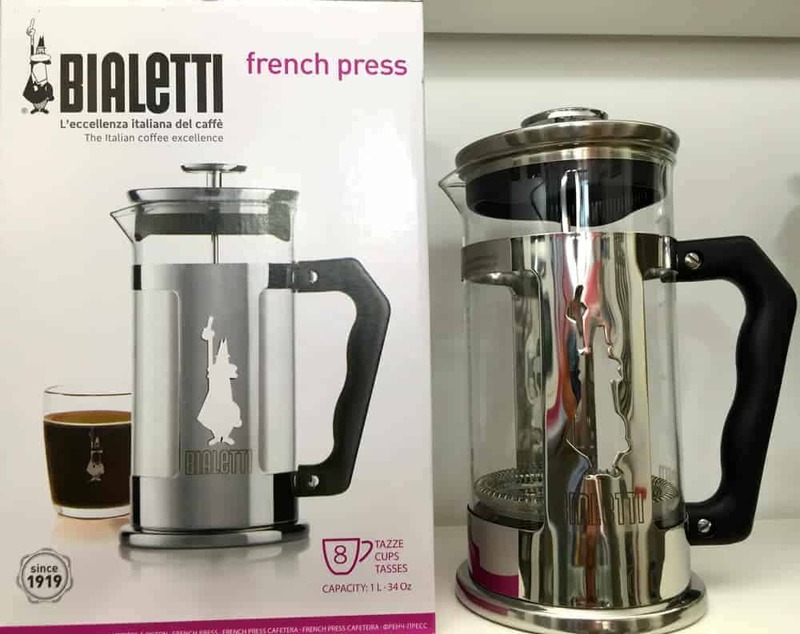 Bialetti doesn’t only make stove-top “espresso” makers – it also makes French presses. It has the same sizes we’ve already mentioned, which will give you about 1 cup, 4 cups, 8 cups, or 12 cups of coffee. Unfortunately, my cups seem to be too big, as I never actually get that much. However, these French presses are still definitely worth a look. You can find my complete review here: Bialetti French Press. 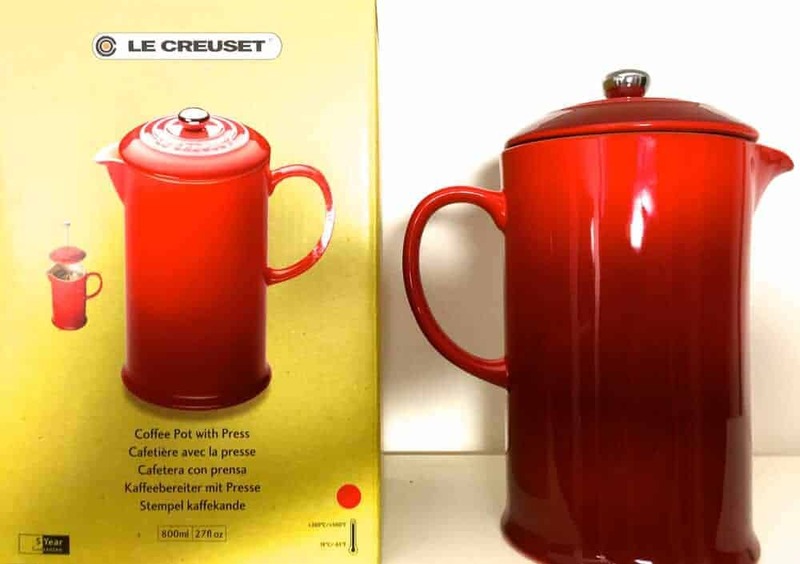 The very beautiful Le Creuset French press is made from earthenware. It also has another advantage: The material does a great job of retaining heat, so it’s worth it to preheat this press. 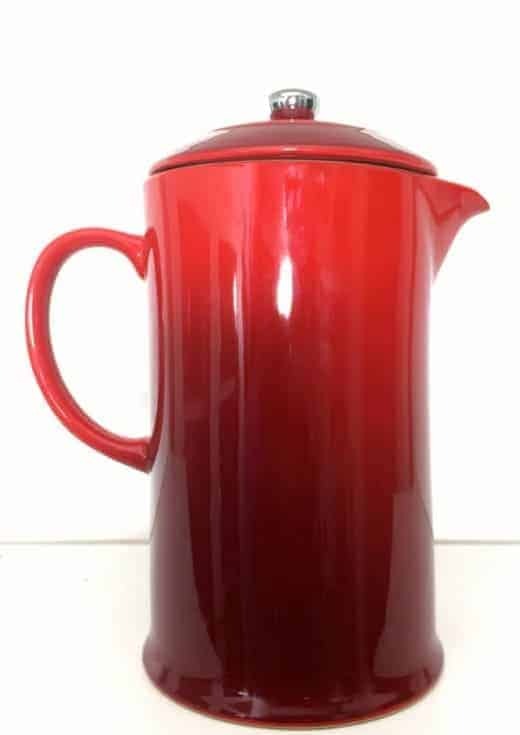 You can find my complete review and thoughts about my experience with this French press here: Le Creuset French Press. Check back here soon for more YouTube videos of French press reviews, comparisons of French presses to other preparation methods, and more coffee reviews. Until then, I will give you some links so that you can read more about different coffee preparation methods that I haveve written about here on Coffeeness. I hope they’re informative! Don't be shy. I'd love to hear from you.